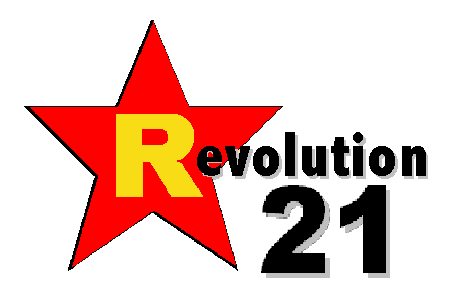 Revolution 21's Blog for the People: 3 Chords & the Truth: Listen or else! 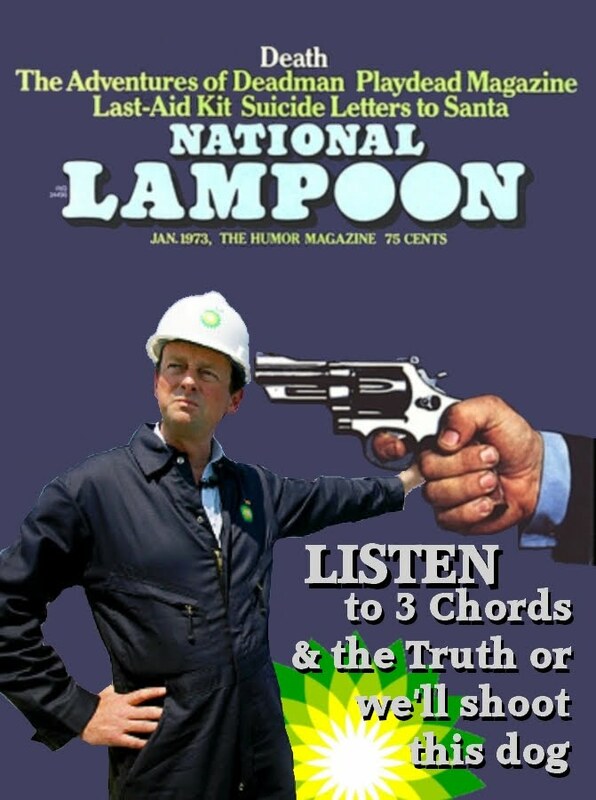 Listen to this week's episode of 3 Chords & the Truth -- it's right here -- or Tony Hayward gets it. Really, I'll do it! Listen to this week's episode of the Big Show, or the CEO of BP gets it. And then we'll throw what's left of him into the oil slick. C'mon, people. Listen to the show. WHY WON'T you listen to the show? I'm not messing with you people anymore. 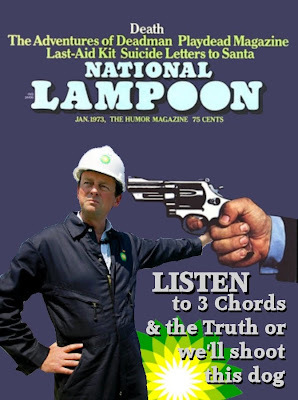 Either listen to 3 Chords & the Truth -- which really is a fine show this week and every week -- or we let Tony Hayward, CEO of British Polluters, go home to London unscathed! He'll make it back without a scratch on him. Unless you listen to the program right now.